I haven’t been an avid movie person in the past, but this recent year, specifically these past two months, I relished in two movies that have quickly risen to the top of my favorites list. And the best part is that they were both a complete and utter surprise to me. After the disaster movie ending I experienced with Tully, where I was overly immersed in the main character’s life only to receive your typical Hollywood twist that pulled me completely out of the storyline, I became overly cautious when it came to sinking fully into the carefully curated world of films. But these two were simply too good from start to finish; the kind of films I want to watch again and again, or at the very least, revisit them in my mind over and over. I went into Stella’s Last Weekend giving it less than one minute to impress me because I wasn’t up for another movie disappointment, as you can imagine with my previous fails. And I have to give credit where credit is due because this film had me within the opening shot because I’m a sucker for a beautiful beach with a moody boy looking like he’s in an indie music video. 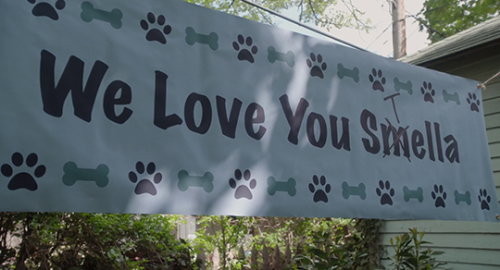 This film is about a family coming together to “celebrate” their dog of 17 years coming to the end of her life, and it’s written by a mother who clearly knows how her boys work best together. Through this family project blossoms a wholesome story that made completely sunk into the film, so much so that I got to let go for all my troubles, which was saying a lot that particular day. And then, of course, I was flooded back with a wave of nostalgia when it came to the unbreakable dynamic established between Nat and Alex Wolff, which I haven’t experienced since my days of watching The Naked Brothers Band on Nickelodeon. What with Nat’s songs causing 8-year-old me to stare moodily into the night through my window and Alex being the wild child (he finally got a real tattoo, which he shows off in Stella’s Last Weekend, after many years of drawing them on his young self on the show), it was like going back to 2007. There is literally not even one scene where those two managed to let me down; I felt like I got to join in on a secret type of magical link only a few get to experience in their lifetime. And you can just tell THEY’RE HAVING SO MUCH FUN TOGETHER IN EACH SCENE, and it’s hard to not catch up on their fun. A movie that can make me feel included on all the inside jokes with a simple look that says it all is my kind of movie. Like, the Mom (Polly Draper) interacting with her boys through glances is the perfect way of showing instead of telling. And I can’t get enough of it because this is something rarely established, and we get to experience this effect thanks to these three being so comfortable around each other; this is a whole deeper level of family. This film holds another point for realism in the simplicity of having dialogue that returns back to the point where it last left off. Realistically, if you were abruptly cut off before a major revelation from someone, you would return as soon as possible to that topic of conversation with said person. So little things like this had me star-struck. Said person who holds the major revelation is, of course, the main clashing point for these two brothers: Violet. Though it’s a sign of how comfortable Ollie is around her that he can act exactly the same with his brother when they’re all together, and it took only one scene to showcase this. The main bonding point for these two brothers then surprisingly is Ron aka the father nobody asked for. Nothing was as reassuring for these two as making fun of Ron with the constant reminder that nobody understands his place in their close-knit family. Speaking of, the humor in this is something else I cannot even begin to capture. Which we especially see in scenes with Ron and the three of them with how he does not get their humor in the slightest. It’s the kind of humor that most would call quiet with how it builds up over years of being around each other; the humor sneaks up on you out of nowhere, but the underlining tone for this movie lies in its intimate playfulness. I remember laughing to myself for a solid week after watching the film because certain scenes would replay in my mind at different times of the day. Like, the “your mother” joke, which is arguably the most overdone comedy, was renewed in the scene where their least favorite employee at their favorite claw machine warns Nat’s character, Jack, “I know about you and the claw,” and Alex’s Ollie brings a brilliant comeback: “He doesn’t cheat, Marty. He’s very loyal to your mother.” All it takes is a simple moment for it to register, and I was laughing uncontrollably. Nothing is shown without it having some significance sooner or later, and I appreciate a film dedicated to having a rounded ending. This is the first Hollywood film I’ve seen that actually handles this topic so clearly with a “you can’t get between my two sons,” instead of an “oh, you know, what can you do in the face of Love?” Like, it clearly lays down the situation that we live in a world with so many other people, and you don’t get between two brothers just because your emotions are overbearing at that moment. This is THE movie for someone who, like me, wants a romance film that isn’t about the grand gestures that give me low-key second-hand embarrassment, instead the storyline chronicles the development of a relationship through minimal gestures (insignificant in their small inhabitance but grandiose in their meaning), like simply being on each other’s wavelength and genuinely caring and paying attention and openly liking each other just as much as the other does; none of that will-they-won’t-they. And it was, quite frankly, refreshing. The love interest in this, Ben, still has me in heart-eyes. Like, anytime I recall his heartfelt “I just want to be with you,” it gets me all over again. Not only that but his initial unsureness around her I found beyond endearing. Speaking of scenes in The Boy Downstairs, there’s one, in particular, I still haven’t gotten over because it’s expresses such a tender and pure form of love that I’ve yet to see on the big screen where two characters bond not through excessive PDA that I cannot help but skip over, but rather through sharing childhood school traumas and just looking in each other’s eyes and seeing that twinkle slowly appear as the story progresses and your heart opens up. You can really feel his love for her through the hurt he feels on her behalf even though it happened years and years ago. I mean, his eyes say it all: This scene was so inviting and open and just so damn raw that I took it as my own. Truly, Ben’s character just sparks one question: Where can I get one? I cherish this sweatered boy so much. Speaking of their close nature, I cherished how it was expressed through little gesture that I hold so close to heart, like Ben stroking her cheek simply to feel close to her while she’s telling her story, or Diana stroking Ben’s hair while he’s driving, or stealing little forehead kisses… IT’S THE LITTLE THINGS THAT GET ME. Another thing: the storytelling used with the constant moving back-and-forth created within the timeline makes for an interesting effect similar to how memories resurface upon seeing a person again. So that Diana would go back to their best moments when they’re not on the best of terms in the present day. And it’s brilliant because after such an intimate scene where she shares so much of herself and he accepts her so openly, then seeing him in this completely unfamiliar terrain in the present day recreates the same betrayal she must feel. Like, we had this heartfelt moment and now you’re somewhere that we have no clue how you even got there. I’ll be on the look-out for any following works by the writer and director of this film, Sophie Brooks. This movie was a work of art. Make your film purchases through my Amazon Affiliate. I’ll make a small commission! If you’re interested in similar ramblings, I have a full page dedicated to all my TV & Movie-spoils which you can check out here. For similar book recommendations, be sure to also scroll over my My Favorite Books of 2018. I look forward to reading about your favorite movies in the comments! September 2018: All the Books I (Re-)Read this Month & Am I Joining BookTube? This was pretty much the month of being in Jenny Han’s To All the Boys I’ve Loved Before universe. From watching the Netflix film adaption and reviewing it in detail here, to rereading the trilogy after craving more and more of the same cute, contemporary vibe. After much deliberation, and upon watching Ariel Bissett’s vulnerable video on the topic, I decided to create a Patreon with the goal in mind to start creating BookTube videos in the near future. I’ve had the thought circling in my head for the past year, and I’m hyped that the idea is starting to formulate itself into a more concrete shape. I’ve already started noting down any exciting book-related topics to feature that I personally haven’t seen discussed before (aka the Jewish side of BookTube). That was my reading wrap-up for September, thank you for reading! Let me know your thoughts down below in the comments. How was your reading month?